A man in his thirties fell 60 feet to his death at Sunset Cliffs in San Diego on Christmas Day while apparently looking at his electronic device as he walked. “Witnesses stated seeing someone distracted by an electronic device and he just fell over the edge,” San Diego Lifeguard Bill Bender told NBC San Diego. “(He) wasn’t watching where he was walking, he was looking down at the device in his hands. The device wasn’t recovered and people at the scene weren’t sure whether it was the man’s cell phone or camera. 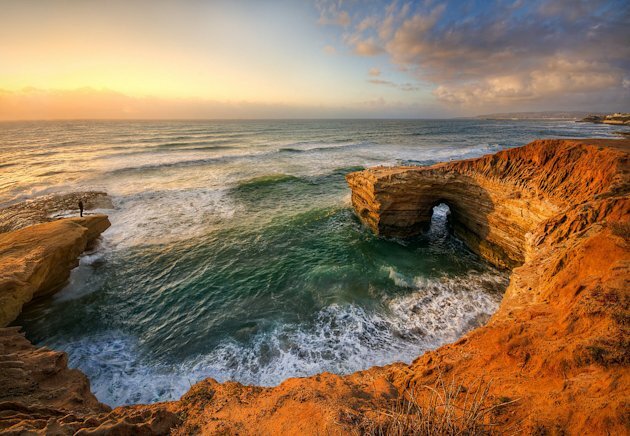 Sunset Cliffs is a popular spot for photographers. However, the man was pronounced dead at the scene. Bender cautioned others who walk near the cliffs to be aware of their surroundings. “Just like driving and using a cell phone, you don’t want to be walking and using a cell phone or be distracted or anything,” he told NBC.